Recent federal bankruptcy rulings in the United States have made it possible for an individual debtor to make false statements about an asset to a creditor or receive fraudulent transfers and be excused by the courts. On June 4, 2018, the United States Supreme Court ruled in Lamar, Archer & Cofrin LLP v. Appling that false statements are not an automatic basis for a bankruptcy discharge or a creditor’s claim to be denied. Appling filed a Chapter 7 petition subsequent to the litigation matter represented by the attorney plaintiffs. The adversarial complaint alleged that the defendant’s debt was nondischargeable pursuant to Bankruptcy Code Section 523(a)(2)(A). Historically, false statements have been contemplated by the judiciary pursuant of the federal Bankruptcy Code, Section 523(a)(2)(A). When debts associated with finance, property, or credit renewal or refinancing are obtained by “false pretenses, a false representation, or actual fraud other than a statement respecting the debtor’s … financial condition,” and when a written statement is materially false in respect to the debtor’s actual “financial condition,” there will be legal trouble. When the creditor reasonably relied on this false information, and suffered harm when the debtor made or published statements with deceptive intent, then the creditor can take legal action. In the case mentioned above, it was found that Appling had made two false statements about the intent to compensate the attorney plaintiffs representing him, yet the Supreme Court discharged the debt he owed to the law firm. In Appling’s case, oral statements did not allow for his creditor’s narrow interpretation that the courts would have required to sustain the claim that the debt was nondischargeable. In Holber v. Nikparvar (In re Incare LLC, the Chapter 7 Trustee (the “Trustee”) allegedly sought to avoid an approximate $750,000 in actual fraudulent transfers made by the debtor, Incare, LLC (“Incare”) to emergency medical services provider, Advanced Urgent Care P.C. (“Advanced”) wholly-owned by the principal of Incare, Dr. Mehdi Nikparvar (“Nikparvar”). Pursuant to federal Bankruptcy Code, Sections 550(a) and 544(b)(1), The Trustee’s claim sought recovery of the alleged fraudulent transfers from Advanced. Citing permission to avoid transfer of a voidable property interest in the actual fraud provisions of the Pennsylvania Uniform Fraudulent Transfer Act (“PUFTA”), court held that the Trustee had adequately evidenced that “actual fraudulent transfers” had been made with intent to delay and hinder a creditor. Though it was proven by the plaintiff that the transfers were actually fraudulent, and not solely constructively fraudulent under PUFTA and Bankruptcy Code, Section 544(b), the court ruled that the transfers were not recoverable under Section 550(a). The Pennsylvania bankruptcy court’s decision is significant in that an extension of the “equitable credit” concept allowed Advanced an “equitable credit” for transfers of a few hundred dollars more to Incare than it received in return. The result was the court’s alleviation of Advanced from any liability, for any transfers to parties mentioned in the claim. FL Legal Group is a licensed Florida attorney practice specializing in bankruptcy law. 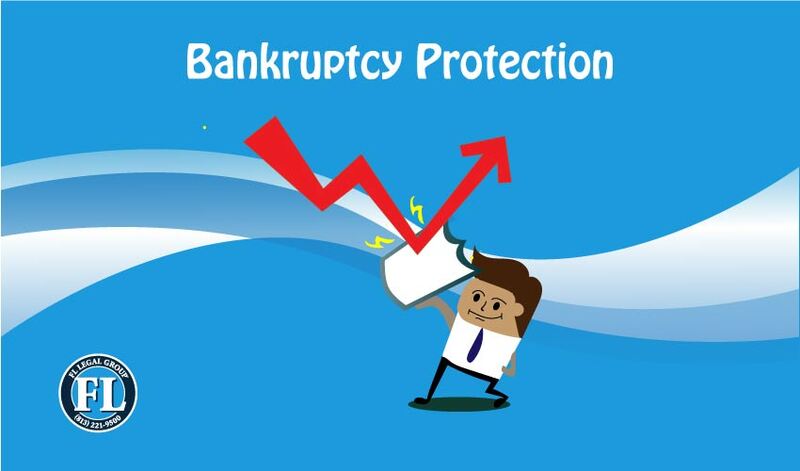 Call (813) 221-9500 or click here to contact FL Legal Group for consultation about a Chapter 7, Chapter 11, or Chapter 13 bankruptcy related matter. When Should I File Chapter 7 Bankruptcy?